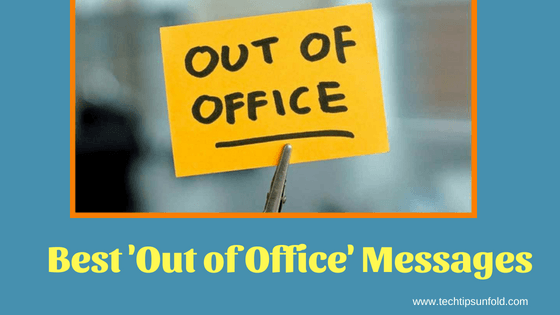 10 Best Out of Office Messages you can use Outlook or Gmail Auto reply – Good way to communicate with your email senders when you are Out of Office is to set a Auto Reply in your Outlook or Gmail with Out of Office Message. Your out of office message should reflect your dignity, responsibility and professionalism. What Needs to be covered on Out of Office Message? Here we will be showing you 20 Best Out of Office Messages that you can reuse for your purpose. Following email etiquette is never easy. Your email reflects your character and professionalism. If you work in such an environment where professionalism matters, then follow these set of ‘Professional Out of Office‘ messages. I’m currently out of office with limited access to Emails or phone calls. I will be returning to office on May 21. For any urgent issues, reach out to [Person Name] at [Person Email ID]. 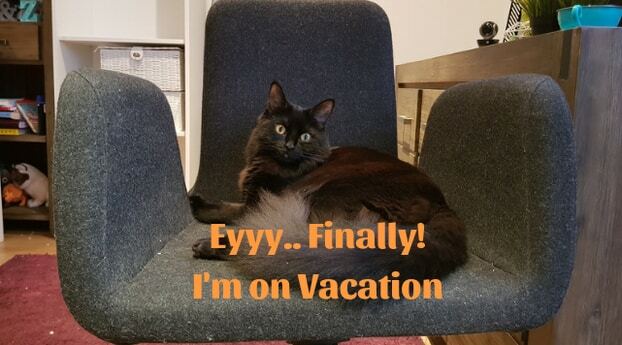 I will be out of office till this weekend. I will be having limited access to emails but you can contact me with over the phone (+1-999999999) for any urgent issues. Also, reach out to [Person] for impromptu response. I’m sorry that I’m unable to respond to your email as I’m on vacation till this weekend. I will respond to this as soon as I’m in the office. Till then, reach out to [Person] for any urgent matters. I appreciate your effort to email me. But I’m sorry to say that I will out of office till 24th May 2020. In my absence, please contact [John] for quick response. Thank you very much. Many people work in an office with joyful environment. In such places, you can add creativity and fun to out of office auto reply emails. So here are few Funny out of office message templates for you. Thanks for your email. Unfortunately, I won’t be able to read it or think about it until Aug 30th 2018 when I’m back from my vacation in Paris. Meantime if it is an urgent work, send out a mail to [email protected] for a timely response. You have sent a mail in my vacation time. I will make sure that all your messages gets read and responded when I come back to work on August 30th 2019. After all, a history of unrelaxing vacations can be a scary thing. If it’s urgent, reach out to John at [email protected] – I’m not scheduled to haunt them until later this year. Thank you and have a beautiful day! Q2: When will John be back? Q3: Is John sorry to miss your email? Q4: Who should you contact in case of an emergency? Here are the top 10 best Auto Reply Out of office templates I have collected. If you’ve come across any best Out of office messages, please comment below. We will add those as well to this article. It needs to be followed by such out-of-office messages and if the email is a professional token that will be used in the work.